Two, three or four seats bench. Each seating position can be fitted with either a seat or a table top, offering solutions to meet all requirements. 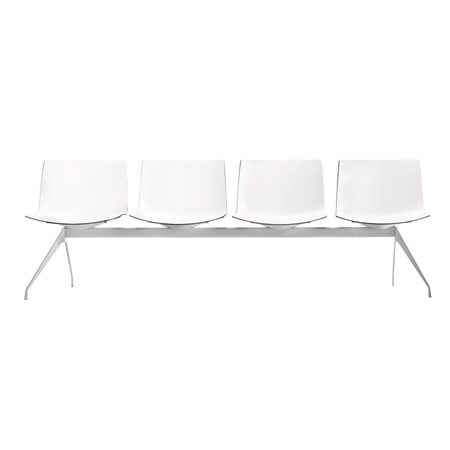 The metal frame is white painted and the shells are available in polypropylene, polypropylene covered with hard leather or upholstered in fabric, leather or faux leather. 1 seat with table: 51,5 x 109 x 78 cm. 2 seats with table: 51,5 x 165,5 x 78 cm. 3 seats with table: 51,5 x 221,5 x 78 cm.